Local princes and princesses got dressed in glamorous get-up in Cardiff to celebrate the launch of Rakuten.co.uk, the new online marketplace. 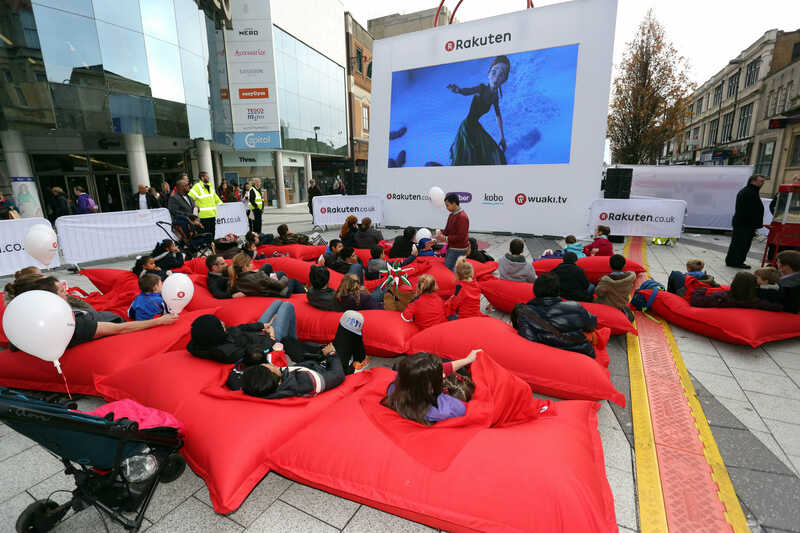 Congregating by Rakuten’s Superbag on Cardiff’s Churchill Way on Saturday, the revelers were joined by a video transmission of pop star ‘Princess’ Natasha Hamilton who geed up the crowd for a mass sing-a-long to Let It Go from Disney’s Frozen. Shortly afterwards princes and princesses settled down to watch the film on the big screen, courtesy of on-demand streaming service, Wuaki tv, part of the Rakuten family.